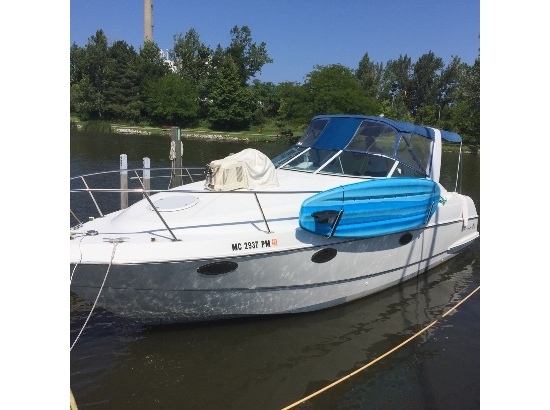 This is a Fresh Water Boat and its been under covered dock and is in excellent shape Per the owner, all equipment is operational which includes: Fresh water system Hot/cold water Air conditioning and heat system, that works amazing Refrigerator Stock #153055 Chris Craft 302 Crowne !!!! Super Clean!!!! Twin 5.7 Liter Mercruisers will get you there Fast and in Style! 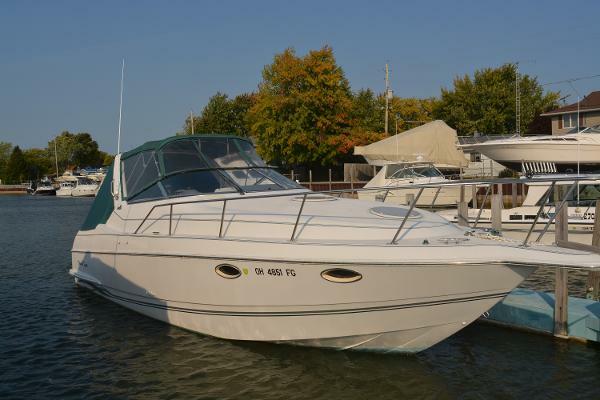 If you are in the market for an express cruiser, look no further than this 1992 Chris-Craft 302 Crowne, just reduced to $25,900 (offers encouraged). 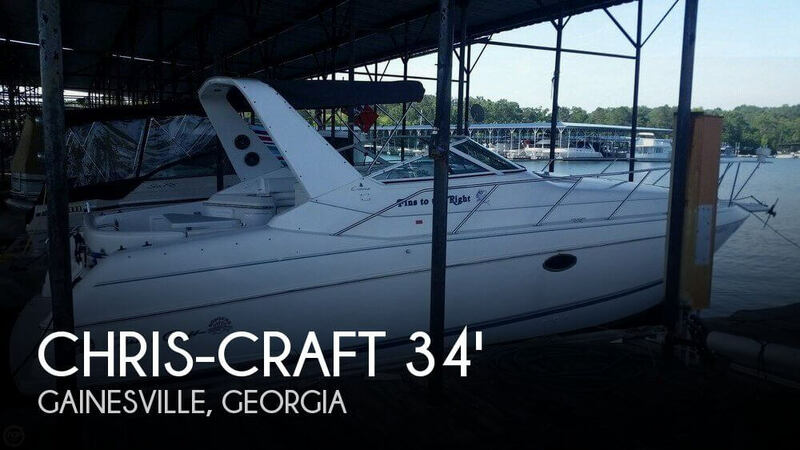 This vessel is located in Gainesville, Georgia and is in good condition. She is also equipped with twin Mercruiser engines that have 542 hours. Reason for selling is owner purchased a houseboat. 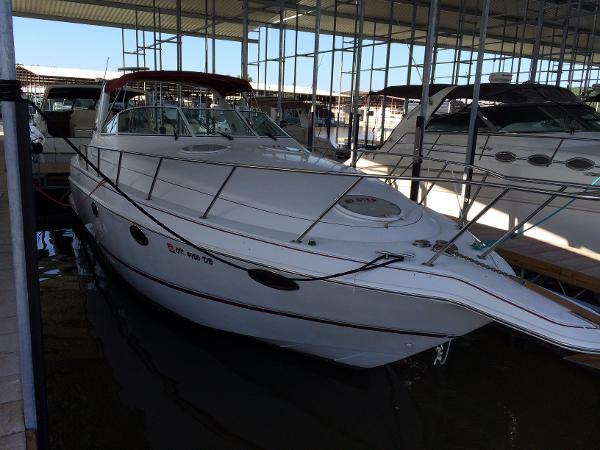 1992 Chris Craft 302 Crowne Twin Mercruiser IO's and outdrives with only 250 hours! A distinctive boat, this 30 Crowne owes her good looks to a molded bow pulpit, a curved windshield, circular foredeck hatches, and an integral swim platform with fold down swim ladder. Below decks, the companionway stairs are located centerline. The mid-cabin accommodations will sleep 2, and the elevated foredeck provides good headroom in the Crowne’s main cabin. The convertible dinette drops down to sleep 2. The L-shaped cockpit lounge can seat six, and the stylish sports car style helm console is unique. A wet bar is standard and fender racks are built into the swim platform. 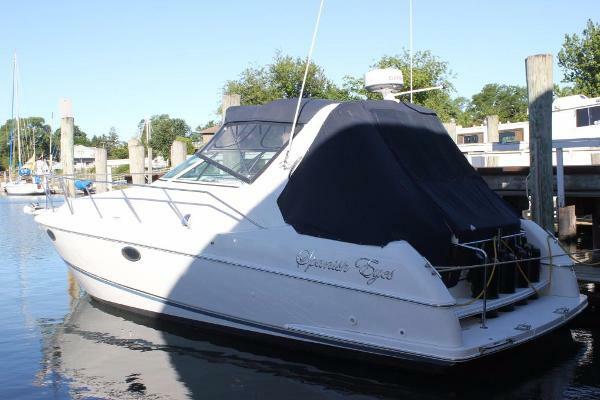 1991 Chris-Craft 302 Crowne This is a GREAT WEEKENDER with marine heat & air, generator, hot plate, microwave, head with shower and sleeps 4. Powered by twin OMC King Cobras and drives have just been converted to Mercruiser Bravo III's, a $20,000 conversion.